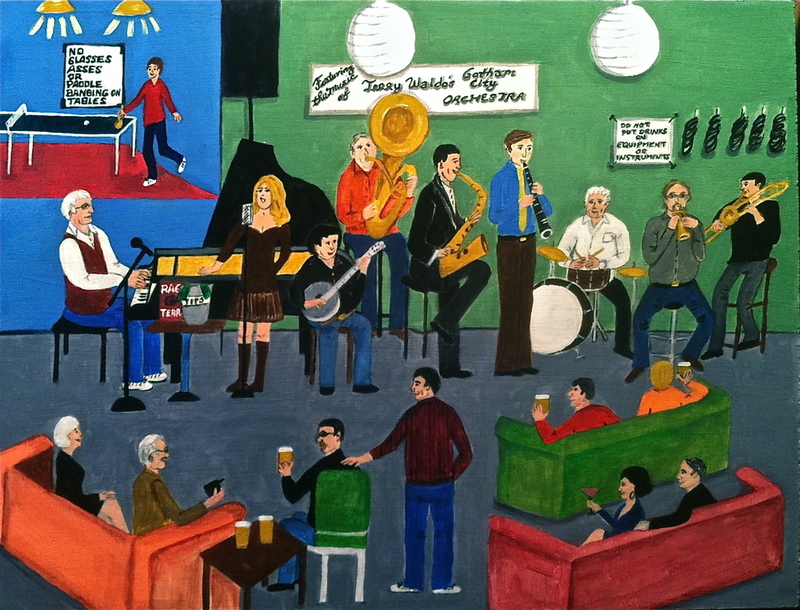 BARBARA NAGEL ROSENE is a jazz vocalist who has also painted for many years. A native of Cleveland Ohio, her primitive paintings were inspired first by photographs of Cleveland in the 1920s and 30s, when the city was emerging as a social and architectural force. She showed for several years at The Grinning Byrd Gallery in Cleveland Heights, Ohio. Hopelessly enamored with the Jazz Age, Barbara has recorded 6 CDs on the Stomp Off label with music from that time period as well. Now living in New York City, Barbara has had a musical career as vocalist for "Vince Giordano and The Nighthawks", and "The Harry James Orchestra" as well as with her own "New Yorkers". She is at work right now on a collection of paintings of Jazz Clubs in New York City where she has performed throughout the years. Her art can be found in Smalls and Mezzrow Jazz Clubs, in the collection of "former "Downbeat" editor Dan Morgenstern, and in other jazz and art aficionado's collections. Barbara is a self taught painter. She sometimes uses photos as references and takes artistic license to create memorable, colorful scenes.